Documentaries often have a bad rap. I think some people equate them to those terrible educational films you had to watch when you had a substitute teacher. (They're not at all.) When someone chooses to make a documentary, it's usually because they are passionate about the topic and there's a story to be told. It's not necessarily about making money or being a box-office success, it's about sharing and teaching and learning and when you combine those with artistic cinematography and a soundtrack, it's a recipe for success. Or at least it is in my books. One of the perks of being a trailing spouse and not working is having time to explore documentaries. If I'm feeling bored one afternoon, I'll do a browse through Netflix or iTunes to see what I find. Sometimes I'll watch something I would never expect to be interesting only to find a fascinating story and I almost always feel like I've learned something. In fact, that's my favourite part about Netflix - I watch something I might not have paid for separately which has uncovered a wealth of fantastic documentaries. Ai Weiwei is a contemporary Chinese artist whose pieces tend to straddle Art and political activism. 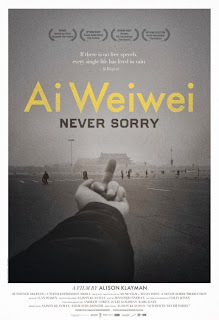 Never Sorry offers a glimpse into his process as an artist while examining the injustices of current life in China particularly when it comes to freedom of speech and corruption. Critics widely pan this documentary as a success and I'd have to agree. In a word, fascinating. Brooklyn Castle follows an inner-city school in Brooklyn and their unlikely success in the competitive chess circuit. Despite budget cuts and students with financial and other burdens, the after-school program continues to thrive resulting in the school winning the most junior high school chess championships in the country. I don't play chess but I was rooting for these kids and the teachers who fight so hard to keep the program up and running. Sarah Polley is a Canadian celebrity made famous by her beloved role in Road to Avonlea. This documentary is brilliant in almost every way. Brilliant. Polley uses a combination of interviews from family and friends of her late mother as well as clips which were filmed to resemble home movies in order to uncover a family secret. Stories We Tell has this way creating such a intricate, comprehensive story without having the main character present. It was wonderfully done. Myanmar, also known as Burma, is one of the most closed off societies in the world as it's citizens continue to live under military dictatorship. Filmed, occasionally in secret, over 2 years, we get a glimpse at everyday life in one of the world's poorest nations. It, again, reinforces that what we see on the outside is a very small aspect of the complexities of a nation, particularly of one that is so cut off from the rest of the world. Most children who grow up in North America will have some sort of connection to Sesame Street. Those puppets signify childhood where we learnt our numbers and letters and where we were taught lessons about sharing and caring. Being Elmo not only shows us how the beloved character came to be but also a behind the scenes look at puppetry. Seeing how the puppets are physically made and then how they are brought to life by those that play them was really interesting. We have a tendency to see an object just as an object like it appears on Earth exactly as it is whereas Note by Note allows us to follow one piano from start to finish and all of those that bring it to life. The details and the sheer amount of time, effort, energy and manpower behind it's construction is really quite something and certainly reignited my appreciation of handcrafted items. 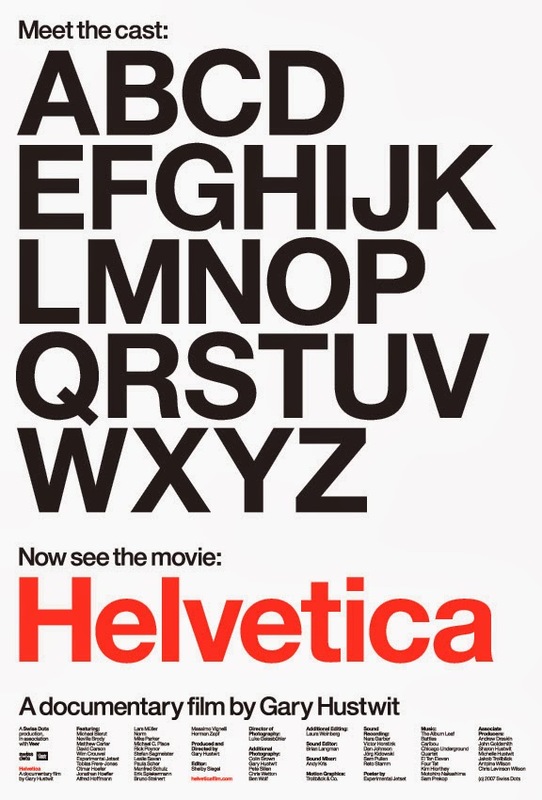 Helvetica is one of the world's most used fonts and what might appear to be a simple, clean typeface, is actual a well thought out, complex system. The film looks at typography, how it's used and what it says. 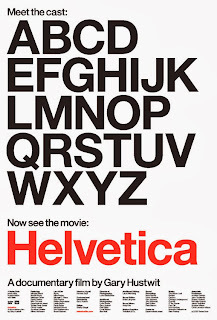 It examines Helvetica's successes and critics all while drawing attention to just how often we come across this font. I'm not good with numbers and while a lot of the concepts are still over my head, I can understand that money, greed and corruption have had catastrophic effects on the world economy. Inside Job looks at the financial crisis, how it started, how and why it continues and the bastards who made millions of dollars off of it. I've never seen so many well educated, powerful people play dumb and it is infuriating. Even more so, practically nothing has changed. This is an eye opening film. I tend to get caught up in the serious documentaries but this was a nice departure for me. From the history of the store, to the competitiveness to get a brand into Bergdorfs to it's elaborate window displays, we really get a sense of the exclusivity of this New York department store. And while the likelihood of my shopping there is unfortunately, minimal, a girl can dream. 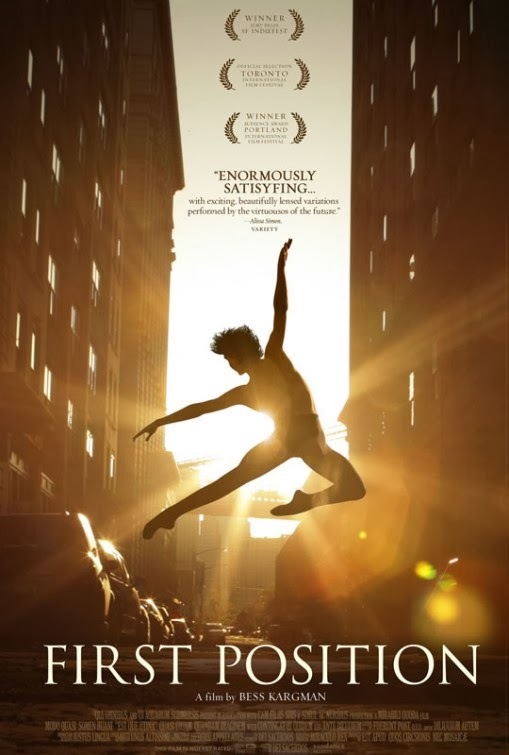 The former dancer in me was enthralled by this film. First Position follows six dancers who hope to enter the world of professional dancing. The commitment and dedication these performers exhibit is nothing short of amazing particularly in an industry that is so competitive and cut-throat. Fellow blogger, Jess, recommended this Banksy film to me after I posted on Stavanger's Street Art Festival. It gives a really interesting look into the world of street art and perhaps even more interesting, starts a discussion about what constitutes Art. This is a great discussion starter and if anything, will have you looking a little more closely and perhaps with a little more admiration at the Art that graces our streets. Any recommendations? Tell me about it! Yes! Yes! Yes! I'm turning into a documentary addict (makes sense, I'm already addicted to podcasts. Some of these I've seen and loved, others I'm going to have to track down. Thank you, and keep sharing your picks! You're welcome & keep sending your recommendations along as well! Documentaries rock me in the best way, almost always. I'm so glad to have a couple more to add to my to-watch list! I'd also recommend Booker's Place: A Mississippi Story. Make sure you don't have anything to do after though. It took me an entire afternoon of reflection to feel like myself again. It looks so good Danielle & exactly the kind of films that I love! Thank you! Oh man. I used to spend so much time watching documentaries on Netflix!! I love them! I never get to anymore because I can only get 3G internet here. My favorite is "God Grew Tired of Us" - what a story. I don't know if it's still on Netflix but it's really worth checking out! Thanks for writing this up! There are quite a few that I'm keen to watch! Thank you for these recommendations Jay, now I know how I'm going to be spending many of my wintry NYC nights! For the record "Stories We Tell" was amazing! 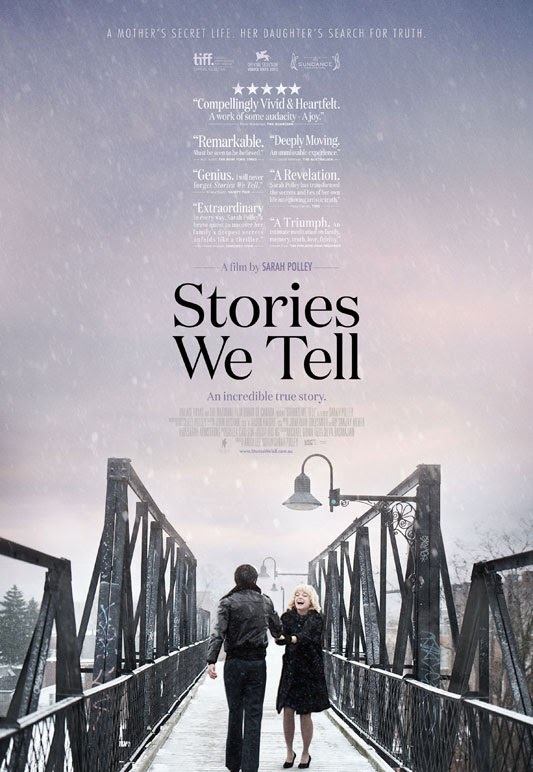 I loved it and it reinforced my love for Sarah Polley as an actress, director, screenwriter, etc. 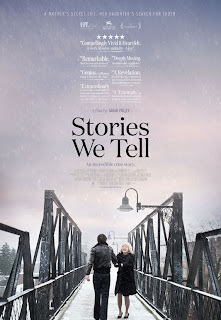 Sarah Polley is fantastic and that film was perfect! Glad you enjoyed it! Such great recommendations Jay! I also loved "Diana Vreeland: The Eye Must Travel" and the entire "Africa" BBC series by David Attenborough. I also love the epic (American) Civil War series by Ken Burns. On my "want to see" list are "The Island President", "Senna" (F1 related!) and Grey Gardens. I watched the Diana Vreeland one after you recommended it and enjoyed it - strange coincidence that I just watched Funny Face beforehand - and took a look for the Africa series but haven't been able to find it yet. I'll definitely look for the others as well too! Excellent recommendations Toni. I had heard of the Sugarman film and Jesus Camp but haven't watched them yet. Thanks for putting them back on my radar.